QPWB hosts, sponsors and attends nationwide events focused on enhancing practices and providing professional networking opportunities for its clients. QPWB participates in events focused around serving and educating others on the laws that protect them. See below to view examples of our involvement in previous events. 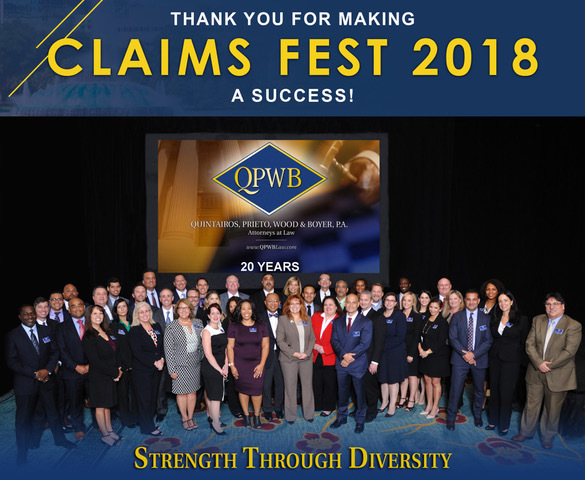 QPWB hosted its second Claims Management & Diversity Seminar – Claims Fest – on Friday, September 21, 2018 at the luxurious Loews Royal Pacific Resort at Universal Orlando. A Welcome Cocktail Reception was held on Thursday, September 20, 2018 at the fabulous Tahitian, formerly Emeril’s Tchoup Chop. Attorneys from our offices in Arizona, Florida, Georgia, Illinois, Kentucky, New York, and Texas addressed almost every area of civil litigation and claims handling during the daylong continuing education seminars. Quintairos, Prieto, Wood & Boyer, P.A.’s Managing Partner of the Orlando office, Deborah L. Moskowitz, was presented with the 2018 Diversity Business Award for “Outstanding Diverse Organizations” (medium companies) by the Orlando Business Journal honoring the remarkable work of inclusive organizations and individuals across a wide variety of industries in Central Florida. The 2018 Diversity Business Award covers all areas of diversity, including age, disability, gender, sexual orientation, race and religion. 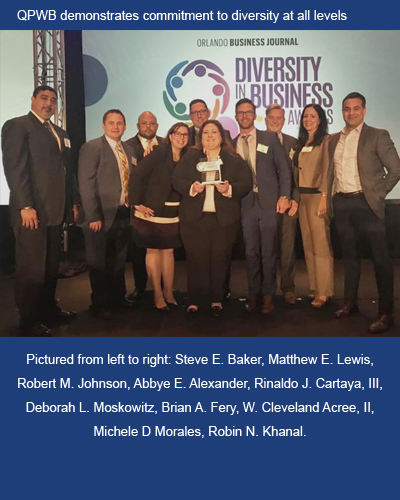 On left, QPWB team is pictured representing “Excellence in All Areas of Diversity.” Orlando Business Journal’s Inaugural Diversity in Business Awards recognized 11 Central Florida organizations. 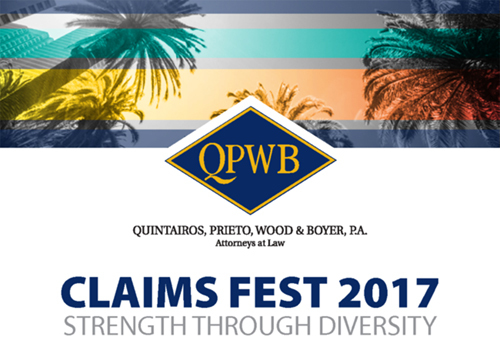 Nearly 100 guests attended QPWB’s Claims Fest 2017 Strength Through Diversity conference in the luxurious Loews Royal Pacific Resort at Universal Orlando. The event, held on October 6th, composed of 18 CLE and CLU courses taught by almost 40 QPWB attorneys and two guest speakers including Barry Dillard, Walt Disney Parks and Resorts, Inc.’s Claims Management Director. Claims Fest 2017 kicked off with a welcome cocktail reception at the fabulous Emeril’s Tchoup Chop®. The conference served to enhance QPWB’s clients’ practices and further strengthen professional relationships. 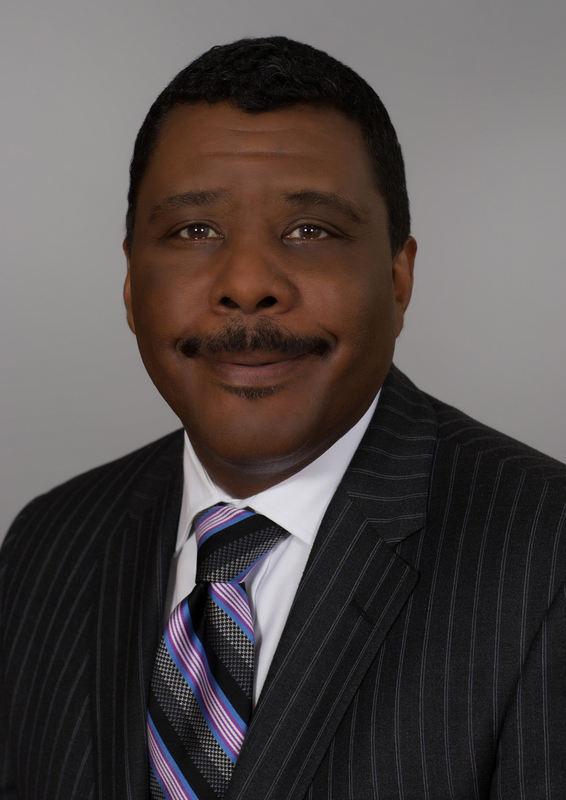 QPWB partner, Corry P. Keilin, presented at Perrin Conferences’ Food & Beverage Litigation Conference on October 2017 in Chicago. Mr. Keilin spoke on ethical issues in food and beverage litigation. The all-day continuing legal education event included more than eight CLE courses and networking events. 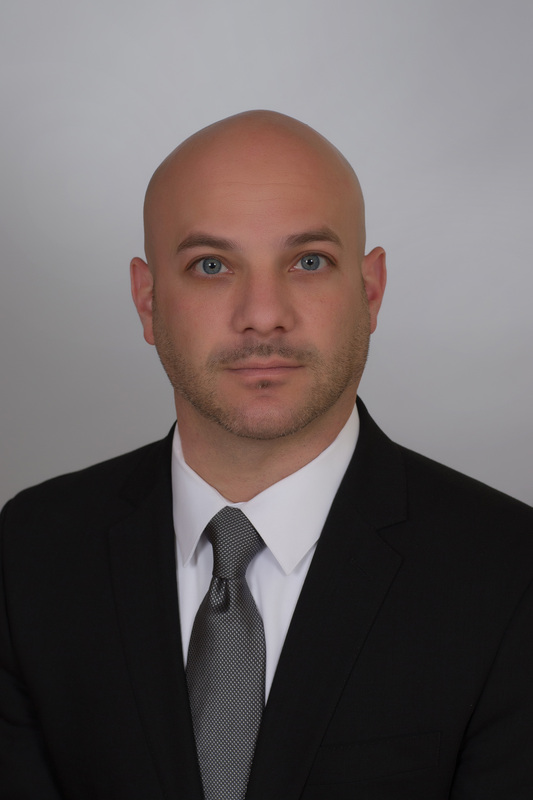 On October 2017, QPWB partner, Anthony L. Schumann, was a co-presenter addressing Government Liability at DRI’s Annual Meeting Advance Program. He spoke on ‘Bridging the Divide: Law Enforcement and Community Relations.’ Mr. Schumann discussed how to better balance the need for order and crime prevention with the respect for individual rights and freedoms for all. 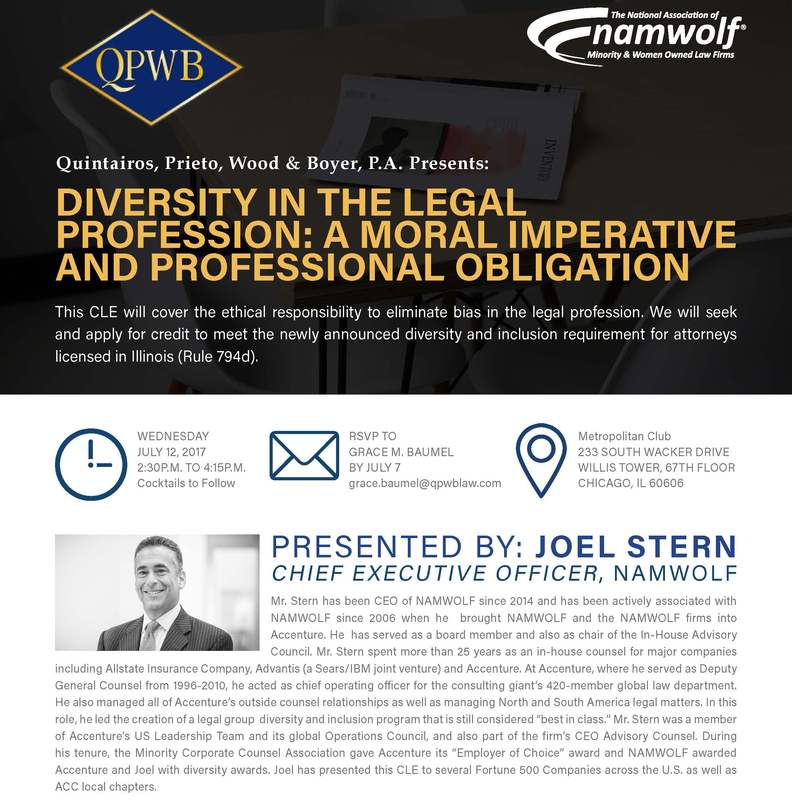 QPWB sponsored a large event hosted by The National Association of Minority and Woman Owned Law Firms’ (NAMWOLF) own Chief Executive Officer, Joel Stern, in July 2017. The CLE covered ethical responsibility to eliminate bias in the legal profession. Many guests attended to seek and apply for credit to meet the newly announced diversity and inclusion requirement for attorneys licensed in Illinois (Rule 794d).